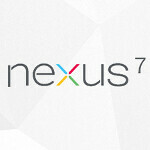 It now looks like the Google Nexus 7 tablet will be in your hands faster than thought. While Google is still accepting pre-orders for the ASUS built tablet from the Google Play Store, the shipping date has changed from 3 to 4 weeks, to 1 to 2 weeks. 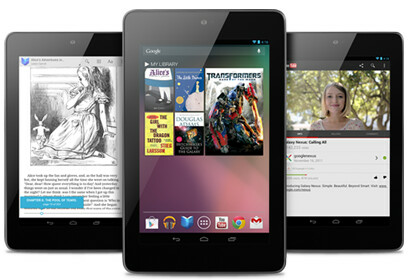 This could allow Google to get the tablet out by mid-July as officially planned. As we have told you, the pre-order page on Staples web site for the tablet, shows a range of July 12th-17th for the launch of the Google Nexus 7. 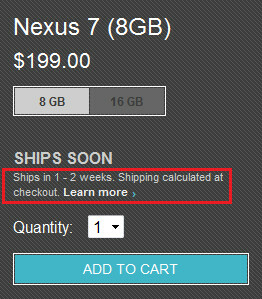 The 8GB model of the Google Nexus 7 is $199.00 while the 16GB model is $249.00. Remember, neither tablet will ship with a microSD slot. And when you get your Google Nexus 7 early, you will be able to enjoy the latest build of Jell Bean which is now Android 4.1.1. An OTA update is happening now. According to those who own the tablet (thanks to Google I/O, no doubt), the latest Jelly Bean build is being installed on the Google Nexus 7. Besides fixing bugs, the update is expected to simply add Google Wallet to the tablet. My hands are itching. Must resist scratching. because its pretty useless. I ordered one for the wifey as an anniversary present. Too bad the anniversary is tomorrow, but she knows her present will be late.. Same price as the kindle, does the same functions.. and a whole lot more.. and with a much better screen and much bigger processor. 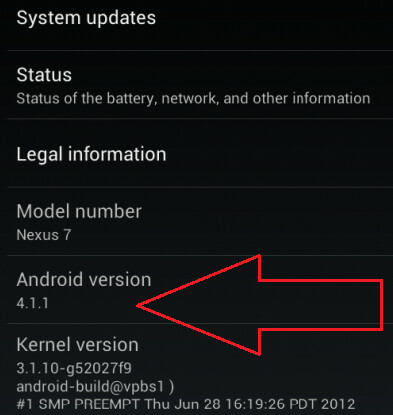 Oh yea.. and its a nexus. I bet she bans me from tinkering with it the moment she sees the box.. lol. 13 year anniversary tomorrow. we got married on our relationship anniversary so its easy to remember. lol. 13 years together and 7 of them married. thanks :) I have a G-Slate. I used the cameras like 3 times.. if I had to chose between HDMI output and cameras, I'd definitely pick up the HDMI (I use that quite often actually). I have a phone to tablet remote control app that works wonderfully so I can hook the tablet to the TV and use it as a media center in the bedroom. As silly as it sounds.... I still see complete D*bags snapping photos out and about with their ever so portable iPads...... To this day I still dont understand.... 3 yr old cell phones take better pictures and are 100 times more portable than the iPad. Yeah but dude, if they didn't use their iPad then you wouldn't know they have one. Use your brain!! i really hate when the pricew in the US is different to other country! it is said that the 8GB version is at $199 but in the philippines the price of the 8GB is 15000 pesos! it should be around 8557 pesos only!! im really devastated about that! its too much! I don't think it's vat because other gadgets here are priced about the same in other countries. I think it's the markup of the merchant taking advantage of the situation. I think this thing gotta be shipping soon as my credit card has a pending charge as of today. The pending charge from when I ordered way back when hasn't been showing on my account for several days now and it has just reappeared.